Most of you clicking on this website will already know us, have observed the pre-departure stress and hassle, and are probably heaving a huge sigh of relief that at last we have gone. You are probably also amazed that we ever got round to putting anything on this website. 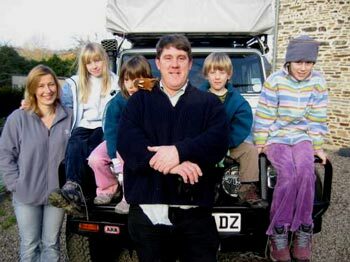 For those of you that have stumbled upon this or might be considering a similar trip we are a family of 6 ?Ashley, Clare, Ella(11), Tess (9), Polly(7) and Nye (5) crammed into a Landrover 110 CSW with all our gear heading overland to South Africa and back. We expect the trip to last about a year and hope to be back in the UK by December ?6. Our route is flexible and the only planned part so far is to get to Egypt in January. 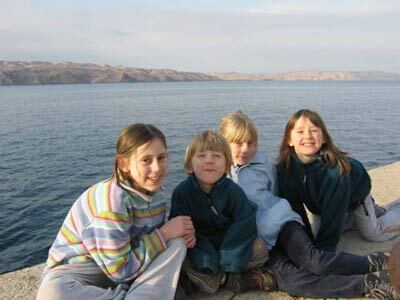 We did a similar trip about 15 years ago, although without children and on a motorcycle, from Britain to Australia, New Zealand and then on to North, Central and South America. We don’t know what it will be like traveling for so long with four children but we plan to provide some education along the way and we hope it will be a fantastic experience for them. If it doesn’t work out like that we are flexible enough to change the plan!